I have many clients coming in to the school who literally respond to every question in their consultation that they want fix something they don't like about their skin. I can recommend all the services that would best suit their skin types and conditions. I can act like CSI and give recommendations on what could be causing them so much despair. However, without an upstanding skincare regimen- results will not be in your future. Results are 30% services and 70% products used at home. So, what do you need in your repitoir? if you have challenges with your skin then serum, ampules, and spot treatments will also benefit you. Now of course, if you are an expert about your skin type then you understand that all products are not meant for everybody. If you aren't one of those people then you might not even know where to start! There are types of products meant to suit certain skin types and possible conditions. "Well duh!," you might be saying to the screen but did you also know that the order of your products can affect your skin as well? Of course, ingredients are the superstars of the products but if you don't know a lot about them, it could not be beneficial. Knowing the basis will help. So let's start from the beginning..
Two cleansers are required to get the cleanse that you need. The first cleanse is meant to to remove the makeup, dirt, debris and it best to use an oil-based cleanser. Oil attracts oil and so it will help remove those oil based makeup products and even those "long wear" liners, colors, etc. Even if you are oily, it will help draw oil to the surface to be wicked away. The second cleanser is used to focus on balancing your skin type or addressing your skin conditions. This may seem simple enough, but guess what? Each skin type that has specific needs in a cleanser! 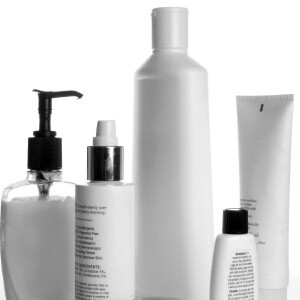 You might see some cleanser that are gels, milky, or even a thick lotion consistency. That's what I'm talkin' about! Normal to Oily are going to benefit more from gels because they will provide a good cleanse without stripping the oil of your face altogether. You don't want to remove all of the oil from the skin (that's a whole new post I'll get to). Milky cleansers are thicker and more hydrating-suitable for dry, premature aging, and mature skin types. Dry skin needs more moisture and so the thicker product ensures more delivery of such. Finally lotions are best for sensitive skin types because they are very hydrating but can be removed even without water. Yes, some people are so sensitive that water irritates the skin. So if you are using something that isn't doing your regimen justice...talk to your local esthetician :) Or investigate your skin type and products. Next post, I will go over some of the other products!